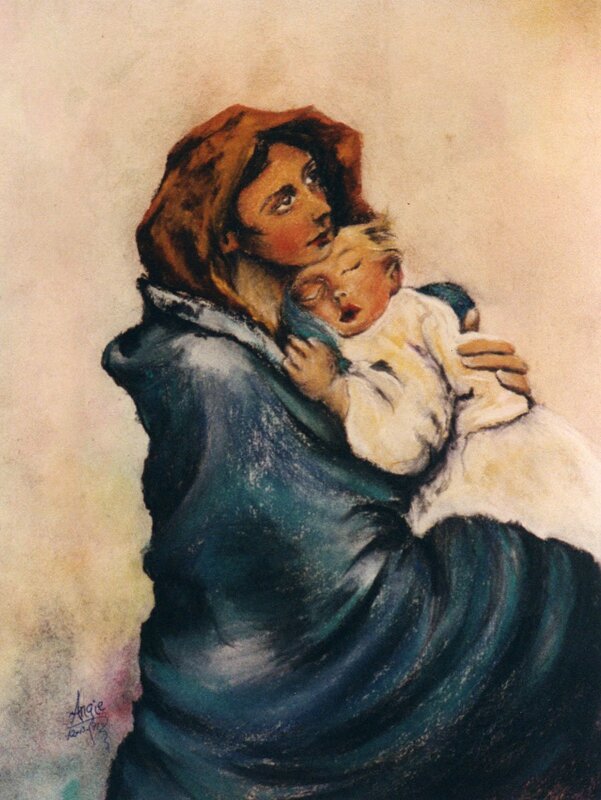 This pastel drawing is with ink wash and based on Italian Master, Roberto Ferruzzi’s ‘Madonna’. Sold to an arts collector in Boca Raton, Florida. Available in giclees and prints.